‘Hi! My name is Nuralyah Razali and I am a year 3 bio-medical undergraduate from the National University of Singapore. A year ago, my family and I visited London for the Queen Diamond Jubilee. My parents wanted to give me an opportunity to see and experience the everyday life in the UK in hopes that I would like to study here in the future. 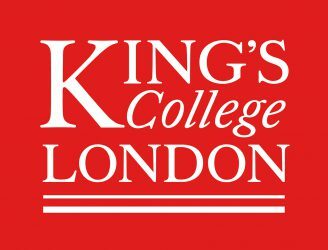 Fast forward to the following year, I came across the Kings College Summer School website by chance and found out that King’s is a partner school with my university, the National University of Singapore. 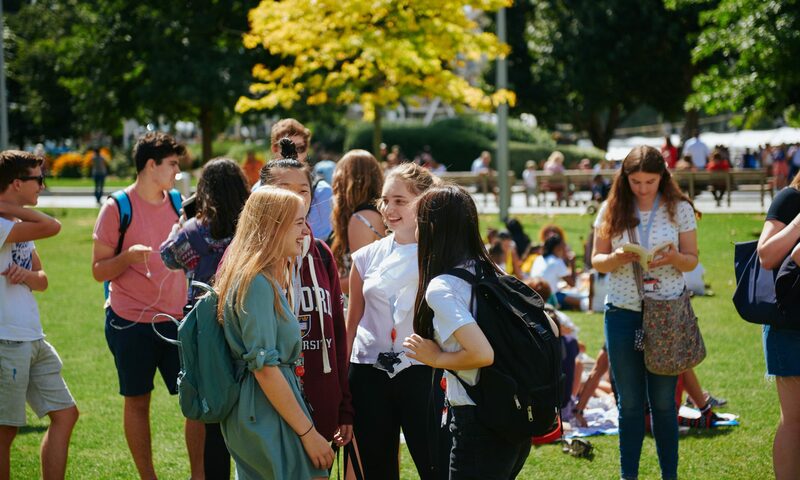 I’ve always had plans to pursue a post-graduate medical degree in the UK and I felt that King’s offered a really good programme which I hope to apply to in a few year’s time. King’s is not only a highly respected and reputable university for bio-medical research, but it is also the largest healthcare education center in Europe. Coming from a science background, I wanted to study something that was related to my course of study but also had a historical aspect because I love reading about medieval medical history. That is why I decided to apply for the History of Medicine course at King’s. I believe that learning the history itself will provide me insight on how to better the lives of others through future medicine and clinical research, which I hope to be part of in the near future. Imagine people running against you, the wind blowing with temperature of 18 degrees every morning, yet you get to feel the comfort of the sun rays while enjoying the walk down to school! On the left side is the panoramic view of Westminster, the London Eye, Big Ben and the River Thames. On the right, you get to see the Southbank, where locals do street performances like dancing, playing the guitar and even selling potted plants in small cute mini gardens by the river. Small vans selling the finest Danish ice cream, Belgium waffles and hot dogs. Little kids playing bubbles while their parents have Twinning tea for brunch at the cafes: these are the many sights that I get to see while walking to school. On the first day of school, we made our way through crowds of Summer School students from over 90 universities from around the world, got our timetables and headed to the auditorium for a welcome speech. I felt butterflies in my tummy the whole time, especially the part when the speaker welcomed ‘students from partnering universities: National University of Singapore’. I was about to stand up and wave for a standing ovation! We met Dr. Anna who was our professor for History of Medicine, along with the smallest group of students in a course – 6 of us to be exact. We had classmates from the USA, Bulgaria and Saudi Arabia, and amongst them were PHD students in Philosophy and History of Medicine and undergraduate in medical or pre-med school. The first session was really mind opening for a science student like myself in the sense that we get to read Shakespeare and were allowed to express our ideas on pictures of early Modern Europe-dating back to the 16th century. What I found most peculiar personally is that whatever explanation or reasoning I shared with the class, there was no wrong or right answer to the theory imposed. I felt really at ease in class and as the days went by I began to feel less afraid to share my own thoughts and views. We got to discuss primary sources of Vesalius, Galen, poems from the 1500s, and stories on how the medical market was so busy with quacks trying to sell off their goods (black market of the medical industry in Europe). The great thing about studying history in London is that it really IS the place to study history: not only did we have class activities; we visited museums like the Hunterian, Gordon and Florence Nightingale Museums. Every single museum has its own murky past to tell but what was common between all these museums is that they helped to mark out and define what the medical industry we see today is about. We take for granted the difference between a physician and a surgeon, the Christianity-era influenced background of the professionalism of a nurse, how hospitals back then only admitted the poor… how then did everything change to what it is today? We ventured through the dark halls of Gordon Museum where we got to browse through ancient medicine books dating back to 1400s. Books in the past were made of copper-based material, and it was a very chilling yet wonderful feeling to be able to hold the finest medieval books of the ancient Roman and Greek history. The Summer School also offered a social programme during the weekends which I was thrilled to be part of and to be able to get to know the other Summer School students. It also gave me a chance to learn and be exposed to the rich and diversified lifestyle that the UK has to offer to a student. The first weekend we had a boat trip from Westminster all the way to Greenwich and back. There was music and good food, and the company was simply lovely; getting to know each other better under a wonderful panoramic sunset view. The following weekend, I signed up for the trip to Oxford and Windsor. Our tour guide was like a walking encyclopedia! It was a lovely day exploring two of the most magical places in UK. The loveliest memory that I will always hold dear to me is that I celebrated my 21st birthday on the 14th of July while studying at King’s! AND I MET NATALIE TENA who acts as Osha in Game of Thrones and Nymphadora Tonks in Harry Potter series!! I took the time over the weekends and after school to explore different parts of London, browsing through street markets and tasting the local delicacies. During my stay at London I constantly update my personal blog http://aleejustsaid.blogspot.com and I recommend anyone who intends to go on a KCL summer programme would do the same thing to! I hope to come back to King’s one day in the future. It was the best summer experience of my life and I know that there are many others out there who would love to have had the same experience. The most important thing is to be brave, be bold and take the time to discover yourself in the three weeks!